GLOBAL SUPPLY CHAINS AND MULTINATIONAL BANKS ARE SUSCEPTIBLE TO CHANGES IN THE ECONOMIC AND GEOPOLITICAL LANDSCAPE: Locking supply chain finance programs into a single source of funding is a dangerous game, writes Tom Roberts, an executive at PrimeRevenue. Some companies have opted for a single-funder strategy. One multinational bank can't meet the requirements of a global supply chain. Best-in-class supply chain finance programs are based on multi-funder platforms. Anyone familiar with global supply chain finance initiatives can appreciate the complex orchestration that goes on between treasury, funders, technology, and procurement. It’s no wonder companies are eager to simplify the process, starting with the number of players in the orchestra. It’s part of why some companies have opted for a single-funder strategy. But, can one multinational bank fund all currencies and jurisdictions? Can it meet the financial and transactional requirements of a truly global supply chain? The answer is no – not without untenable risk. First, both global supply chains and multinational banks are highly susceptible to changes in the economic and geopolitical landscape. Supply chain finance programs that are locked into a single source of funding are held hostage to that funder’s risk tolerance. It’s a dangerous game, especially as the global coverage of multinational banks continues to be a moving target. For example, in 2014, Citigroup announced it was pulling out of 11 countries including six in Latin America. Meanwhile, its CEO remains under pressure to sell Banamex Mexico, its banking division in Mexico. Last year, the Royal Bank of Scotland announced it was scaling back its cash management and trade services in 25 of 38 countries. These kinds of events can have disastrous implications on the success of a supply chain finance program, and a company’s relationship with suppliers. If a company implements a supply chain finance program led by a single bank, and that bank can’t serve key suppliers in certain parts of the world, the efficacy of the program is undermined and recourse can be costly. Second, no one bank—no matter how global—has the processes and systems in place to serve all currencies and jurisdictions. 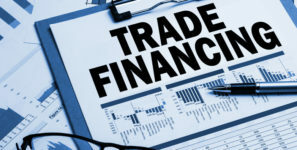 If a company needs to add a supplier that can’t be funded by their multinational bank, they have to not only source alternative funding, they have to handle the back-end systems integration required to facilitate the trading of receivables. It’s a resource-intensive approach that many companies simply can’t afford. This is why best-in-class supply chain finance programs, are typically based on multi-funder platforms, rather than closed, bank-proprietary platforms. Companies need the flexibility to work with multiple banks (or use their own balance sheet) without burdening their procurement and finance teams. A multi-funder approach, supported by a bank-agnostic platform, makes it as easy to connect to multiple funders as it is to connect to a single bank. A common myth is that bank syndication solves these problems—both coverage and technology. In these instances, the lead bank will syndicate liquidity requirements to other banks. On the surface, this feels like a multi-funder strategy, but the limitations and challenges are the same. While there are multiple banks involved, they all participate through the lead bank and its proprietary platform. That means they adhere to a single set of rules and face the same technology limitations. It also negates one of the benefits of a true multi-funder approach: pricing competition. In instances of bank syndication, funding spreads are typically higher, especially over the long term. The lead bank will often charge syndicate banks an origination fee to participate in the supply chain finance programs up overall costs. And, because pricing is set by the lead bank, syndicates can’t offer better pricing or discounts. This is bad news for companies and their suppliers as bank syndication often leads to the “lowest common denominator effect.” The lead bank has no incentive to compete on pricing and service, and syndicates are forced to operate according to the same rules and standards. Today’s global supply chain finance programs demand a multi-funder strategy. A single-funder approach is ineffective at every juncture—from process and technology to competitive pricing and jurisdictional coverage. Companies can’t afford to deploy these large-scale initiatives and leave working capital on the table or restrict program participation. While it may seem counter-intuitive to simplify supply chain finance by adding more players, it’s not. With the right processes and systems in place, a multi-funder strategy can increase program participation, secure more competitive pricing and discounts, and ultimately increase cash flow predictably and sustainably for both buyers and suppliers. Tom Roberts is senior vice president for global marketing at PrimeRevenue. Prior to PrimeRevenue, he held sales and marketing executive leadership positions at Fiserv, CashEdge and E*TRADE Financial.